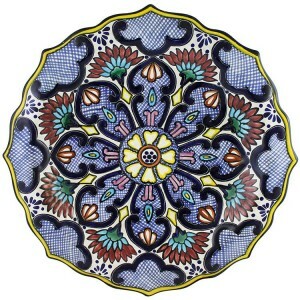 Majolica ceramics, made in the Talavera style, are produced throughout many different regions of Mexico. These new influences have produced a variety of modern styles and designs that are growing in popularity. One such area, Dolores Hidalgo, is the home of Artesanias Amora fabrica. It is considered the best fabrica in the area and produces some of the finest quality modern Talavera in Mexico today. Although these products do not meet the exacting standards established by the Consejo Regulador de Talavera, they are fine quality modern Talavera pieces a modest prices. As we have already discussed, Talavera is fired at very high temperatures making it a very durable product. 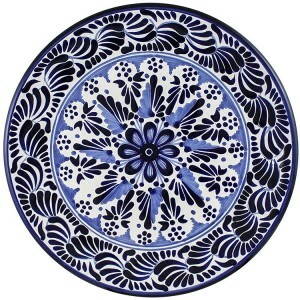 We recommend treating your Talavera as you would treat any other fine china product. If you decide to place it in the dishwasher, use care to ensure that it does not rattle against other pieces during the washing process. It is microwave safe, but use care as it will absorb heat. The high firing temperatures also make it oven safe. We recommend placing the piece in the oven when the oven is started and let it warm up with the oven. 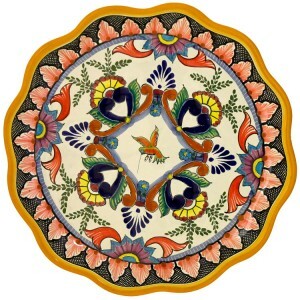 With proper care, your Talavera piece will last for years to come! Snacking will Never Be the Same with Our Talavera Trays – It doesn’t matter if it’s a pay-per-view boxing event, baseball game, football match, or just a good movie on television; you and I both know you are going to need something to eat. Snacking while watching TV has become somewhat of a hobby in and of itself. With that in mind, the next time you sit down in front of the tube to take in a sporting event or catch a good flick, consider snagging our Talavera snack traysas well. Its rich detail and colorful patterns make it beautiful and unique. However, what you will probably be most interested in is the fact that some of our trays have multiples compartments for you to store a variety of your favorite snacks. This makes it perfect for storing things like chips, dip, and toppings in one convenient location. You could even serve several different types of meats, cheeses, and crackers as well. If potato chips are in order, put three varieties and some popcorn in the compartments and feast away! You could even put vegetables and some ranch dressing in there if you are one of those healthy types, we won’t complain. The snack tray makes snacking easy and convenient, but there are other purposes it can serve too. For instance, at your next formal party, why not use snack trays to serve hors d’oeuvres? It’s elegant enough to be formal, just as much as it is playful enough to be casual. Buy two or three and outfit them nicely with your finest appetizers for guests to munch on while they wait for the main course to be served. When you’re finished, simply toss it in the dishwasher. That’s right, no need to hand wash this piece. 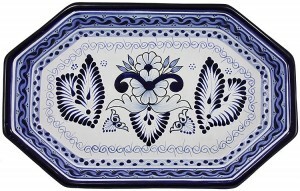 All of our Talavera accessories are chip resistant, microwave safe, oven safe, and dishwasher safe. 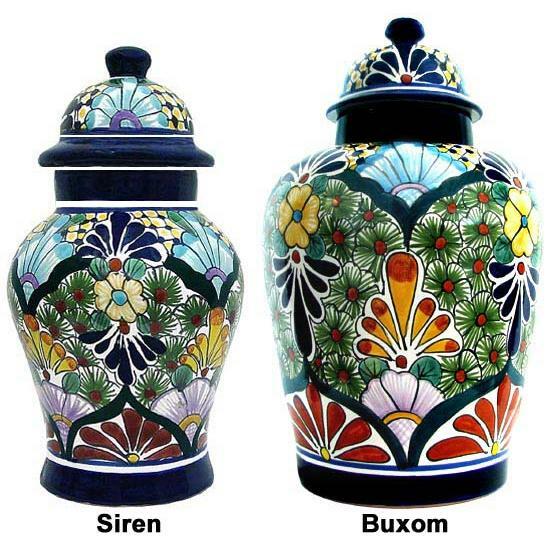 Also, no need to worry about lead paint that is common with some imports, our Talavera pottery is 100% lead free. 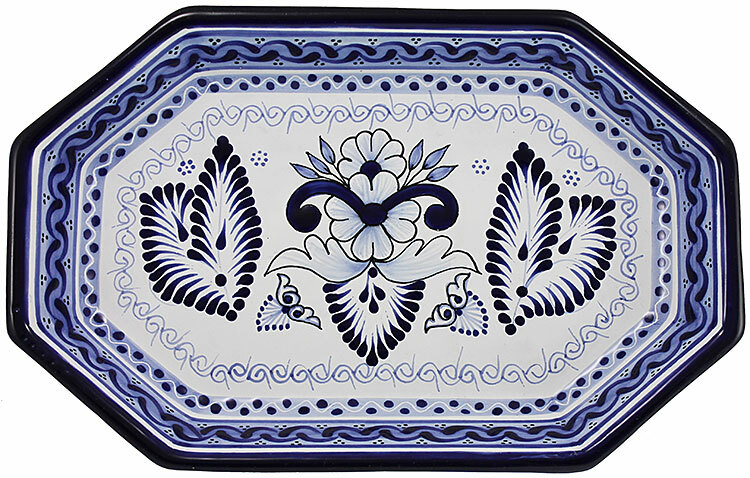 Quality, beauty, and snacking convenience, our Talavera snack tray covers it all. 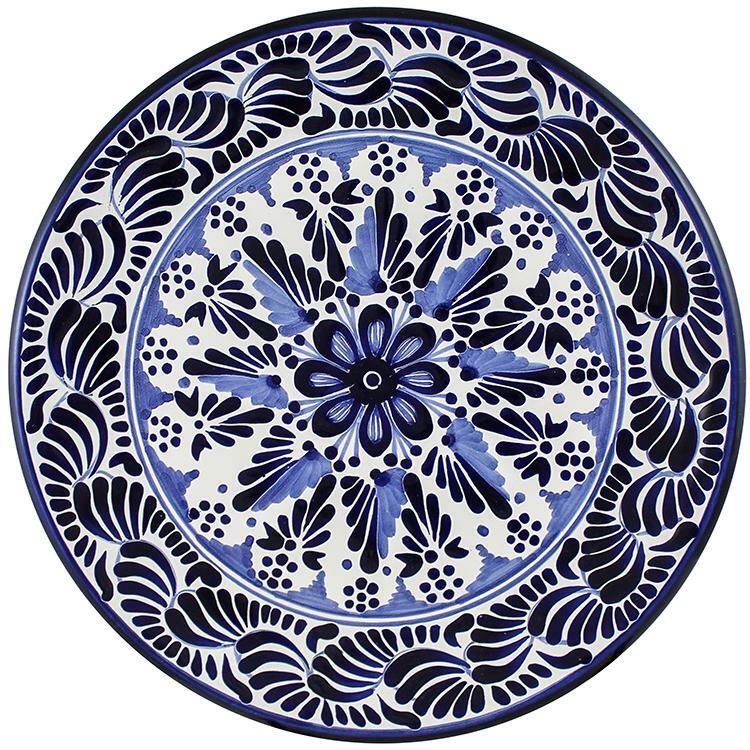 Having its origins in Puebla Mexico, and echoing that tradition, all of the paint used in our Talavera products are 100% lead free. Originally, only vegetable dyes and all natural pigments were used. 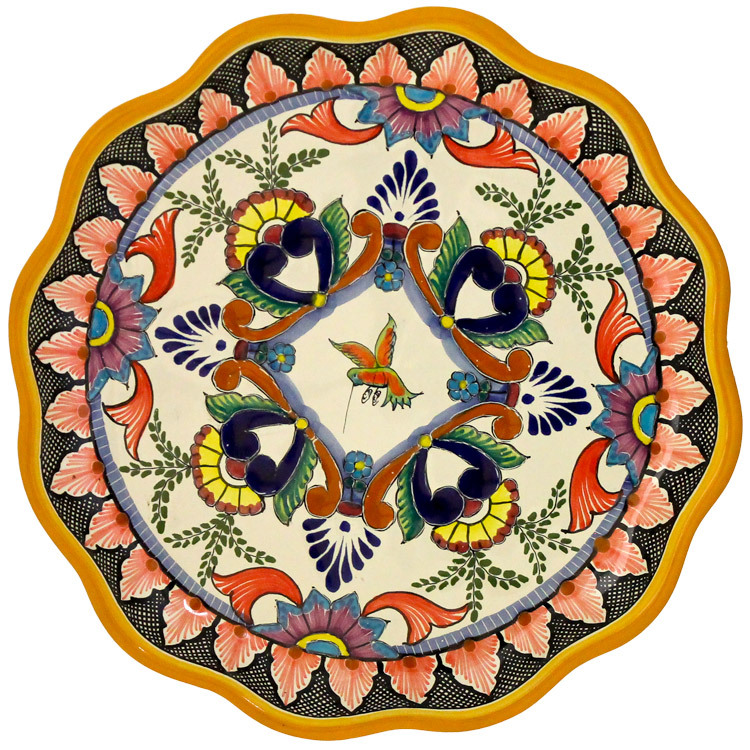 Each artisan had their own unique style and only four different pigments were allowed to be used in order for a piece to qualify as Talavera. Today, several other colors have been added and since the pallet has expanded, so has the colorful festive nature of the pieces. Our serving bowl is a perfect complement to any type of dining room table. If you have a minimalist table with a modern sleek design styling, this serving bowl with its punch of color would look perfect gracing the tabletop. Perhaps your design styles are more traditional in nature. If that is the case, this brightly colored festive bowl will perfectly complement the traditional flair of your dining room. 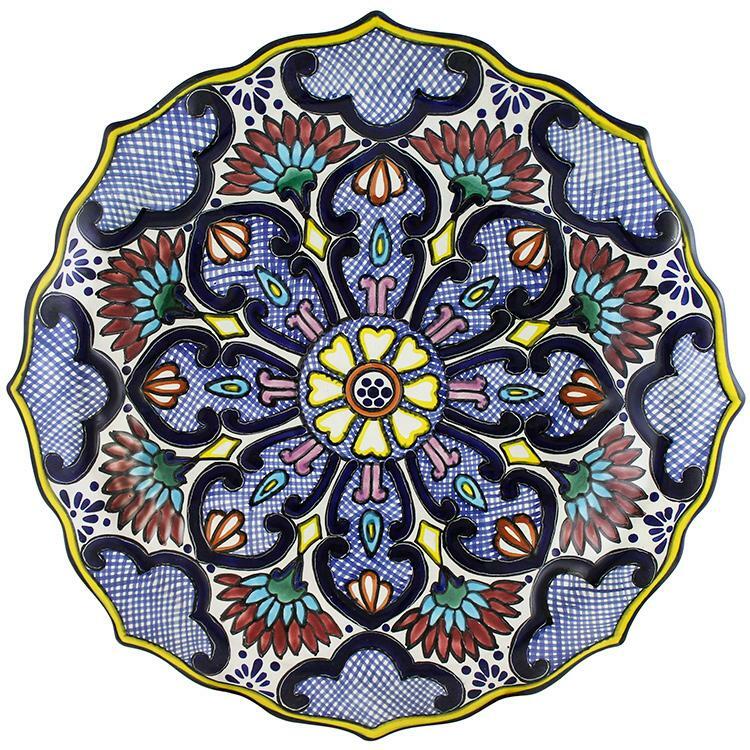 You simply cannot go wrong using our Talavera serving bowl as a design element in your room. For your entryway. Place the serving bowl on your entryway or console table filled with potpourri to greet guests with a wonderful aroma as they enter your home. The aroma combined with the colorful presentation of the serving bowl is a wonderful way to welcome friends into your space. Hallway table. Try filling the serving bowl with ornaments during the holiday season, or other items such as shells, or even pine cones during off seasons to create a fantastic display in your hallway. One of these bowls, positioned on a small side table at the end of a hallway, makes a great statement and also provides a fantastic focal point for the space. Bedroom. Why not place one of these on top of your dresser, or a side reading table in your bedroom, to create a more intimate space? You could fill the bowl with dried flower potpourri and a few decorative wooden balls to ground the reading nook or crown your dresser top. Bathroom. Place one of these on a “his and hers” vanity in your bathroom to not only divide the space, but add a little bit of dramatic flair too. You could have fun with it and put washcloths or other small toiletry items inside for guests to use during their stay. The color and functionality will make for a great accessory item in the bathroom. You could place these in outdoor seating areas, beside your sofa on a side table, place them on your sofa table, the possibilities are truly limited only by what you can come up with. You could go off-the-cuff and fill one of the serving bowls with oranges and place it on your kitchen counter. What a great way to add a bit of color and display as well as functionality, to your kitchen! As stated before, the design options are truly limitless..
We have several different styles and patterns to choose from, so you should have no trouble finding a bowl that suits your taste and tickles your fancy. Head over to La Fuente now and make one of theseTalavera serving bowls yours today!